We specialize in teaching beginners how to get up and learn to ride on a board or skis. We use the best equipment money can buy and we get brand new equipment each season. This helps make learning easy, safe and fun. 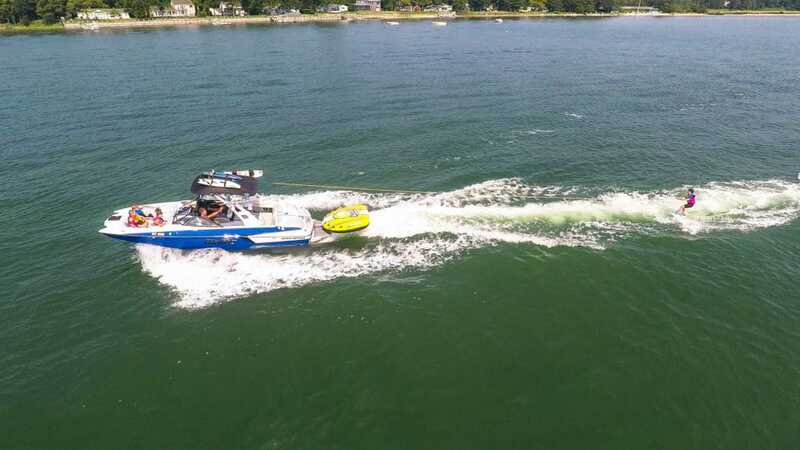 For more advanced riders, you will love the huge wakesurf and wakeboarding wakes made by our Malibu 23 LSV, the best rated and best selling wakeboard boat in the world. Our boats are always available to charter to explore the waters around Montauk, Swim, Snorkel or visit one of the areas many waterfront bars and restaurants such as Sunset Beach or Duryea’s Lobster Deck. 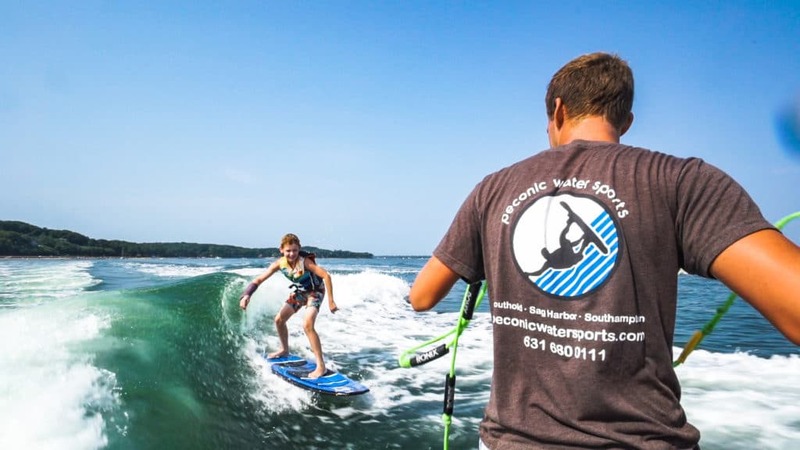 Please note: We only offer water sports lessons and charters in Montauk. For our other services including boat rentals and jet ski tours, please visit one of our other locations.